Managing Director, Tube Investments of India Ltd.
Mr. Vellayan Subbiah, son of Padma Bhushan M V Subbiah, is part of the fourth generation of the Murugappa family. 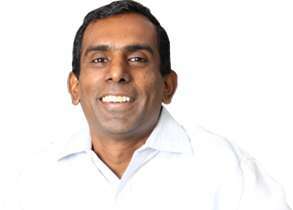 Mr. Vellayan holds a Bachelor of Technology in Civil Engineering from IIT Madras and a MBA from University of Michigan. He has over 23 years of experience in varied fields viz., technology, projects and financial services. 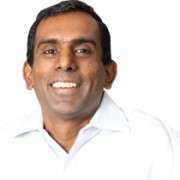 He has worked with McKinsey and Company, 24/7 Customer Inc. and Sundram Fasteners Ltd. He was a recipient of the Extraordinary Entrepreneur of the Year – TiECON 2014 Award. He was the Managing Director of Laserwords Private Ltd from 2007-10 and of Cholamandalam Investment and Finance Company Limited from 2010-17. He is currently the Managing Director of Tube Investments of India Ltd.
Mr. Vellayan is an avid cyclist and a marathon runner.